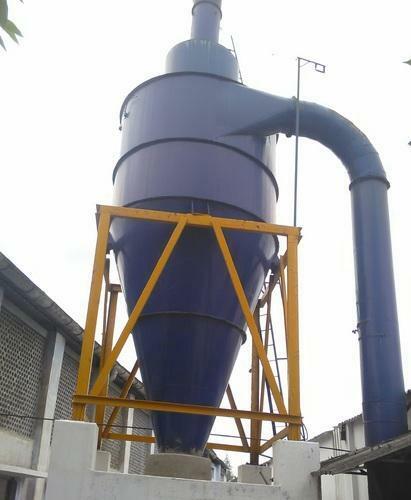 We are the leading supplier and trader of dust scrubbers from .our dust scrubbers offers a variety of energy-efficient dust scrubbers solutions for both new construction and retrofit applications. From Heat and Energy Recovery Ventilation to Fresh Air Supply Ventilation - meet all of your ventilation needs. "Kings Industries", was established in 2010 and is operating as the manufacturer and supplier of Pollution Control Systems. Our product range comprises of Bio Gas Plants, Industrial Evaporators and Ion Exchange Systems. The offered products are regarded for their effective performance, hassle free operation and extended durability. These products find wide usage in treating effluents, gases, sewage and wastes expelled from industries. We are specialized in offering services for repairing and water treatment. We have a sophisticated production facility equipped with high-capacity machines for making products in tune with the industry standards. Our quality control facility is engaged in checking the quality of the manufactured systems for ensuring compliance of the set industry norms. We have a spacious warehouse for handling of bulk orders and our packaging facilities ensure safety of products during long distances of transportation. We are known for timely delivery of orders owing to our efficient transportation network. Our clientele is reputed and based in every nook and corner of the country including Coimbatore, Kerala, Madurai and Chennai.